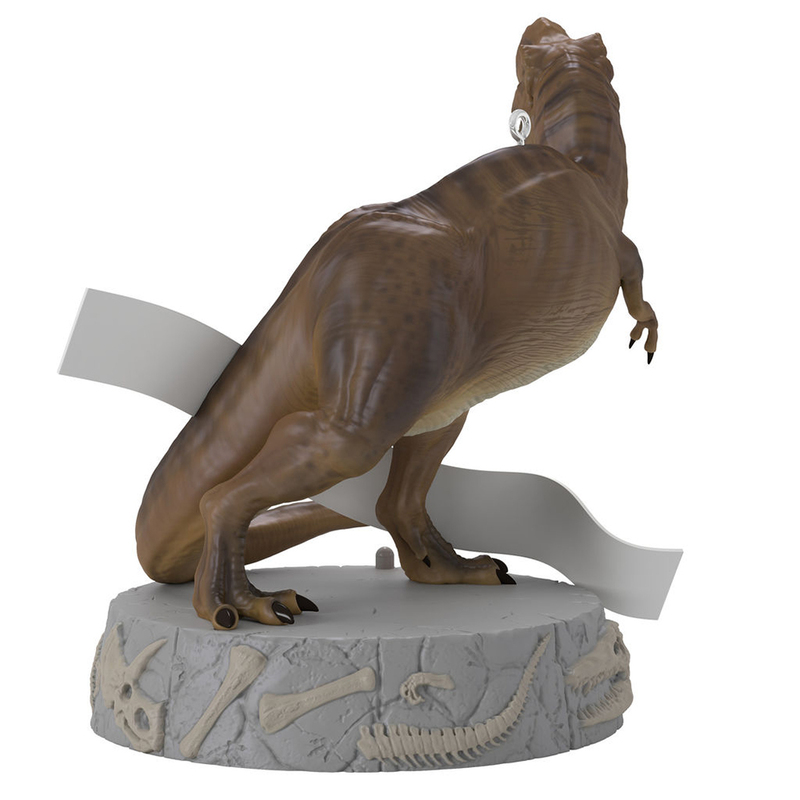 Few scenes are more iconic in the Jurassic franchise than the first film’s finale. 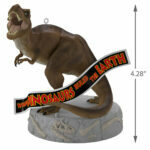 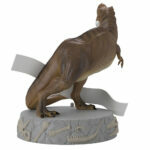 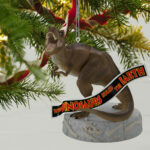 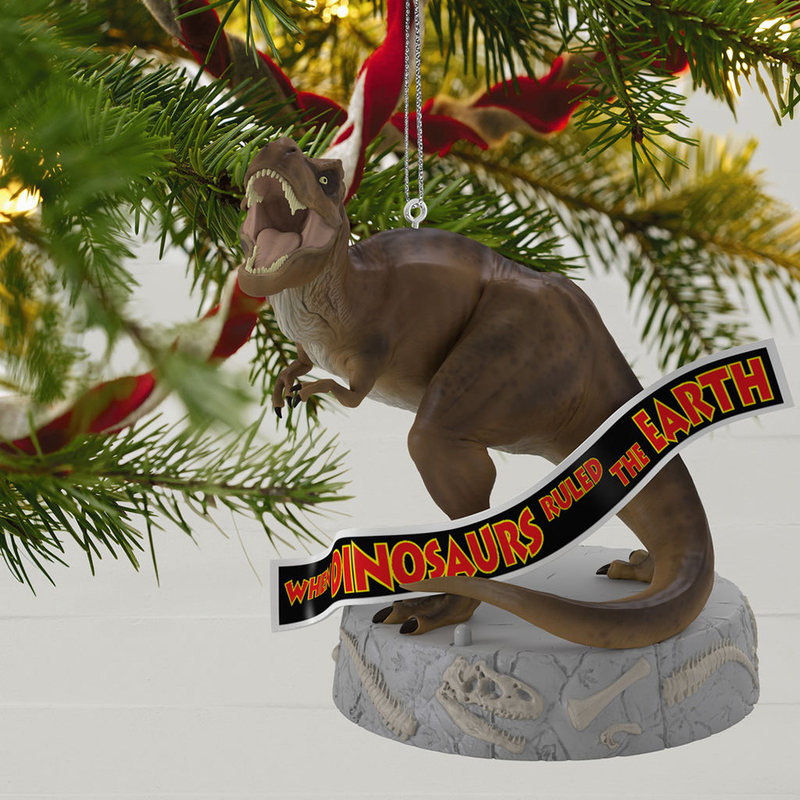 This fall, Hallmark is at last releasing their first official Jurassic ornament recreating this jaw-dropping movie moment. Complete with theme music (“End Credits” by John Williams, of course), Hallmarks realization of the almighty T. rex and the falling banner looks to be incredibly faithful to the source material. 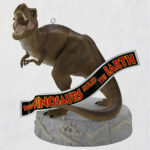 In the summer of 1993, an ambitious entrepreneur named John Hammond spoke four words that changed the world: “Welcome to Jurassic Park.” This Christmas tree ornament of prehistoric proportions plays music from the “Jurassic Park” theme song and captures a final look at Isla Nublar’s mighty tyrannasaurus rex with “When Dinosaurs Ruled the Earth” banner. 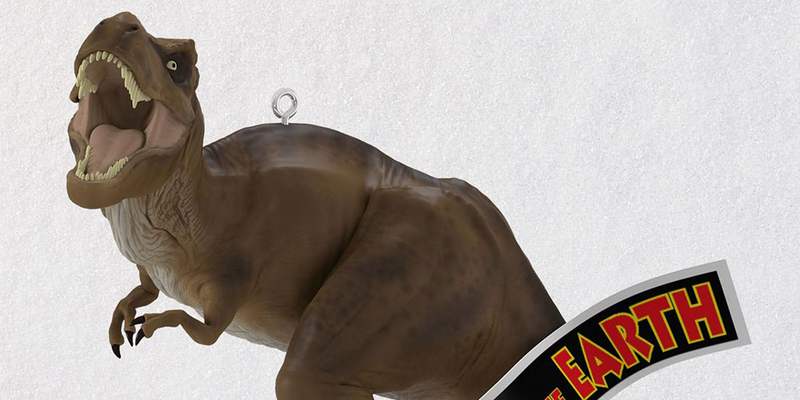 Sound feature is battery-operated.